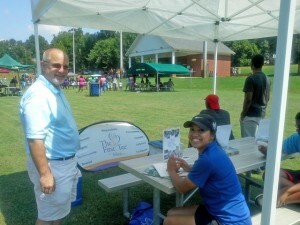 The First Tee in Aiken, a group that teaches golf to children – and have taught WIU children through a grant – were among the vendors at the Youth Explosion on July 25. Last Saturday, Women in Unity partnered with Grace and Mercy to hold the Youth Explosion at the Edgefield Soccer Field. It was a very successful event, and they enjoyed good weather that day. There were roughly 150 people in attendance. 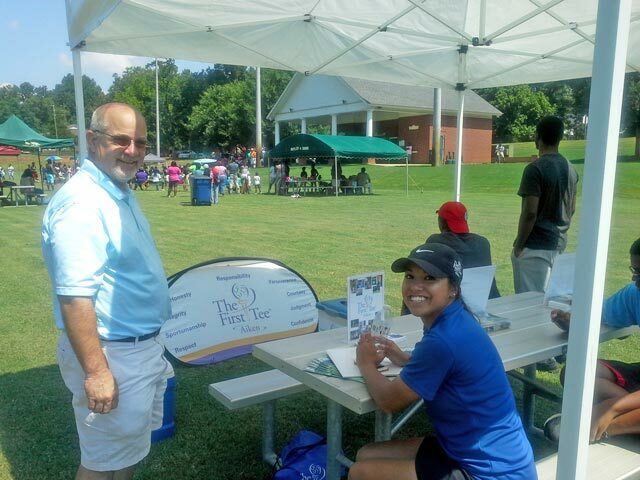 They were able to participate in activities involving inflatables, a water slide, and golf games — courtesy of The First Tee in Aiken. The Gospel Warriors — a dance group — performed. About six vendors were in attendance. Also, Hunger No More donated pizzas for the kids. All in all, the event was a great way to provide food and fun to local kids.